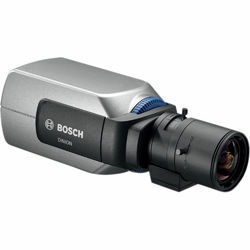 Prominent & Leading Authorized Wholesale Dealer from Hyderabad, we offer bosch analog box camera. The LTC 0455 Series are compact rugged, 1/3-inch image format digital color CCD cameras. Their superior sensitivity, 540 TVL resolution and picture quality provide optimal performance in virtually all situations. Easy Installation, digital signal processing, on screen displays, superior picture quality and reliability, brings the video performance of high resolution color cameras to a level never reached before and makes the LTC 0455 Series the best choice for first time and professional users. Looking for Analog Box Camera ?